Blue Mountains – This is the best place for horse riding. It has a total area of 2,000 acres and horses for starters and experts in horse riding. The wilderness gives you an opportunity to have real experience of a relaxed atmosphere with lots of fun activities such as sheep shearing, cattle mustering, trekking through the valleys, etc. 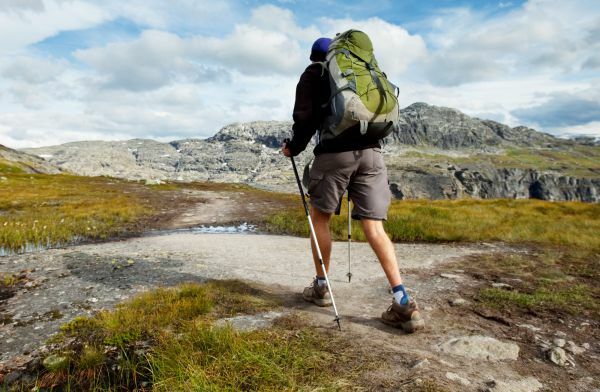 Australian Alps – This is the best place for those who love hiking and mountain climbing. To visit this place, you should get your hiking boots ready and the energy to walk through the Australian Alps and cross four national parks. You will pass through Walhalla, Tharwa, Baw Baw Plateau, Bogong High Plains, Namadgi National Park, Kosciuszko National Park, etc. There are several camping sites and alpine resorts where you can camp for some time as you plan to continue with the adventure. It can take you about two months for you to complete the hike. Great Ocean Walk – It is a 90 km stretch alongside the sparkling Australian coastline. You will walk through beautiful beaches, forests, coastal sand and forests, and be able to see wild animals such as kangaroos, whales, dolphins, koalas, etc. There are many camping sites and accommodation facilities along the way. This is where you can also reach the highest sea cliff in Australia. Gold Coast – If you want to have a lifetime skydiving experience, Gold Coast is the place to go. The Gold Coast has outstanding scenery and ideal weather conditions for skydivers. Those who are courageous enough enjoy jumping from a moving plane under the guidance of a qualified instructor and have a spectacular view of the entire beautiful Gold Coast. Franklin River, Tasmania – This the best destination for people who lobe water rafting. It is an amazing wilderness with superb scenery consisting of rainforests and gorges. Franklin River is the best place for white water rafting. You do not have to be an expert but regardless of your expertise, you will enjoy great rafting and adventurous fun in the area Generally, Australia is a beautiful country endowed with a wide range of attractions for people of all ages. Every adventure seeker with an Australian Visa is guaranteed of a lifetime adventurous fun and experience whenever they visit any of the Australia attractions.